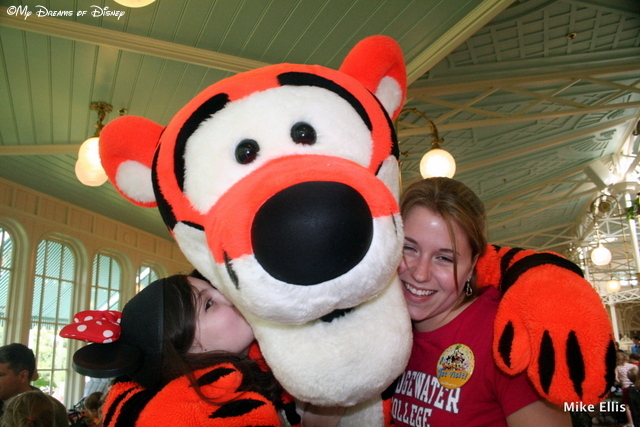 Wordless Wednesday – Disney Letter T for Tigger! Tigger and Sophie posing for a hug and a picture! 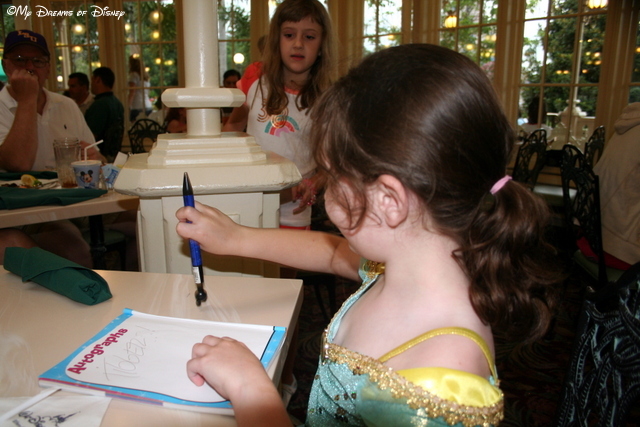 It’s Wordless Wednesday time, and today we’re focusing on the Disney Letter T for the theme! I know that a lot of people think of other things when they think of the letter T, but for me, Disney Letter T means one character — Tigger! Come join me as we bounce from shot to shot, exploring all of our Tiggerific pictures! 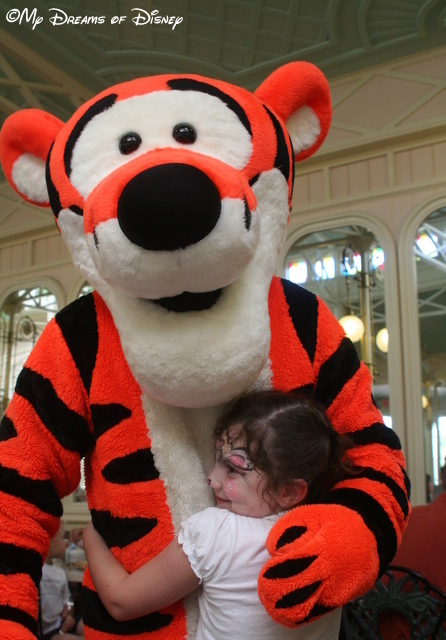 Sophie giving a Bear Hug — or a Tigger Hug — to Tigger! 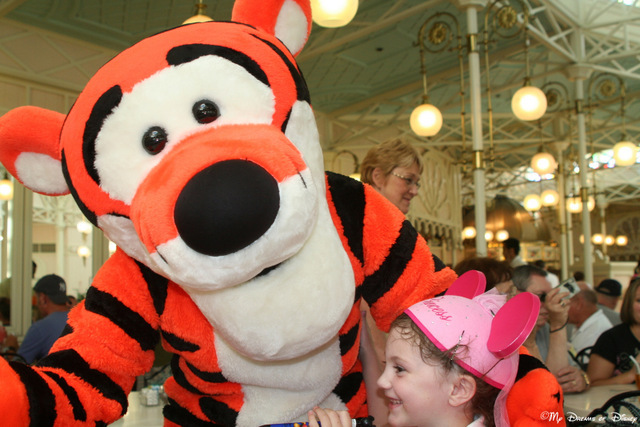 Tigger is bounding along at the Crystal Palace! Sophie, Tigger, and Stephanie squeezing a hug! Look at what a camera hog Tigger is! And lastly, but certainly not least, here’s a picture of Sophie — in her Princess Jasmine costume, no less — after one of his autographs! 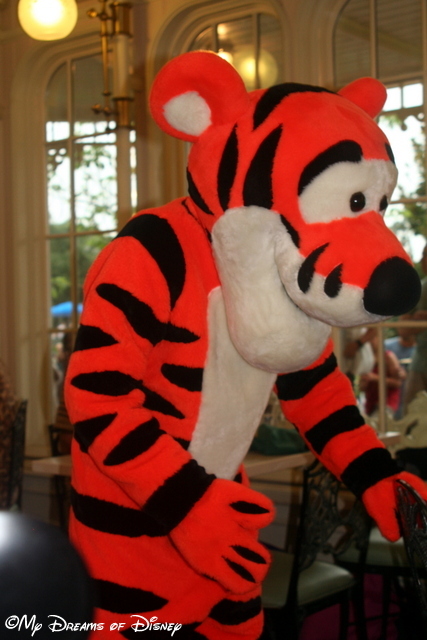 Tigger’s Autograph is simple, but uniquely his own!